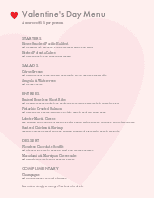 A pink background sets the stage for this Valentines Dinner menu, featuring a large heart in the background and accented with a tiny red heart. 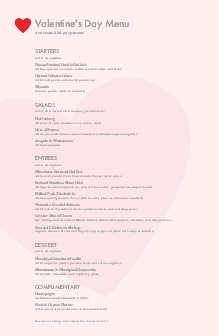 The food options run below in a single column. 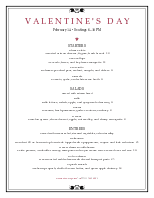 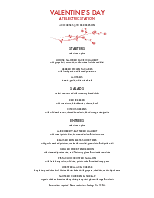 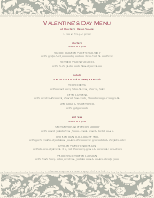 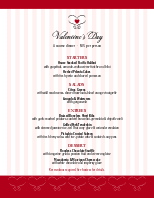 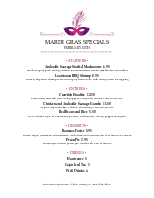 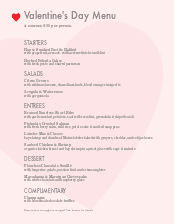 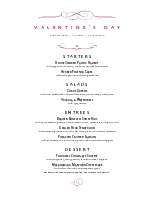 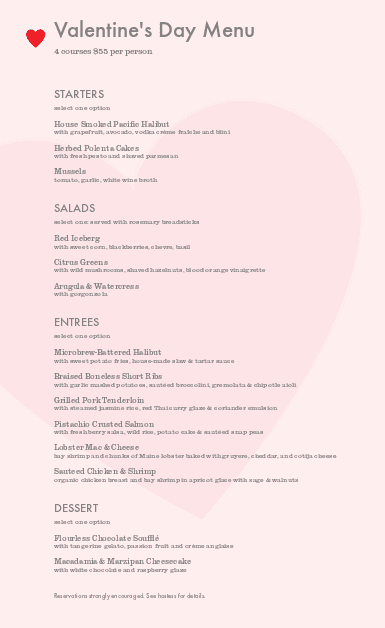 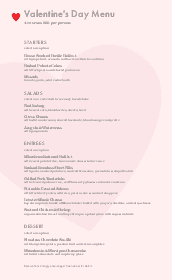 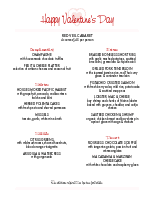 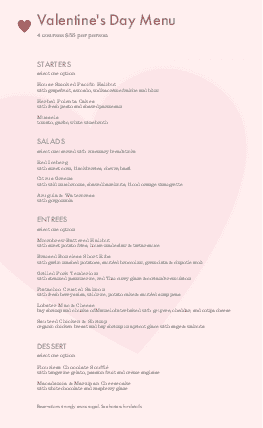 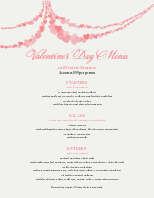 This Valentine's Day menu can be updated online using the Menu Editor.